These life-size portraits, which depict Jacob and his Twelve Sons, are a visual narrative of Jacob’s deathbed act of bestowing a blessing on each son, blessings which foretold their destinies and those of their tribes. Have hung in the former seat of the Prince Bishops of Durham for more than 250 years as a representation of the progression in relationships between the Christian and Jewish communities in the UK. Twelve of the 13 works in the series were purchased by Bishop Richard Trevor, Bishop of Durham, at a London auction in 1756 from the collection of a Jewish merchant named Benjamin Mendez. 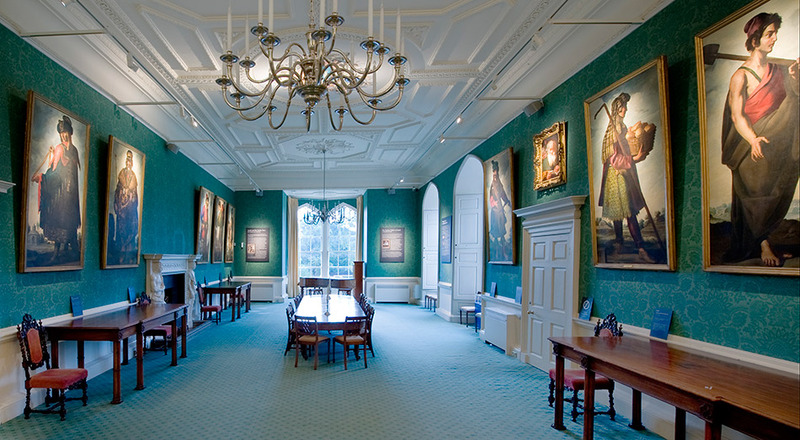 Trevor redesigned Auckland Castle’s Long Dining Room to house the series, seeing in the public presentation of these works an opportunity to make a statement about the need for social, political and religious tolerance and understanding between Christians and Jews in the United Kingdom. 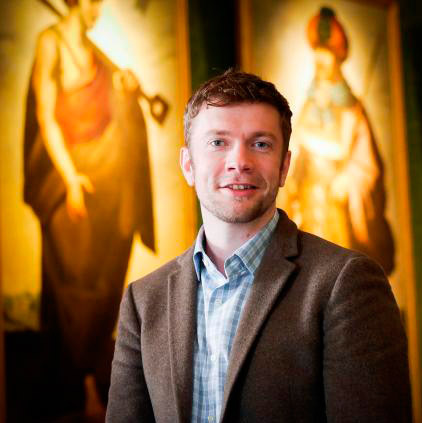 As part of this exhibition, the 12 paintings from Auckland Castle will be reunited with the 13th—depicting Jacob’s son Benjamin—on loan from Grimsthorpe and Drummond Castle Trust, Bourne, Lincolnshire. Also presented will be a number of the engravings and prints that Zurbarán drew upon for visual inspiration, by artists such as Martin Schongauer, Albrecht Dürer and Jacques de Gheyn II. The Meadows Museum will display the series together in one gallery, evoking the presentation in the Long Dining Room, the home of the paintings for most of the last 250 years. Wallpaper by Zoffany, a facsimile of the wallcoverings at Auckland Castle, will be used as a backdrop, giving visitors the opportunity to experience the works much as they are usually seen in England. 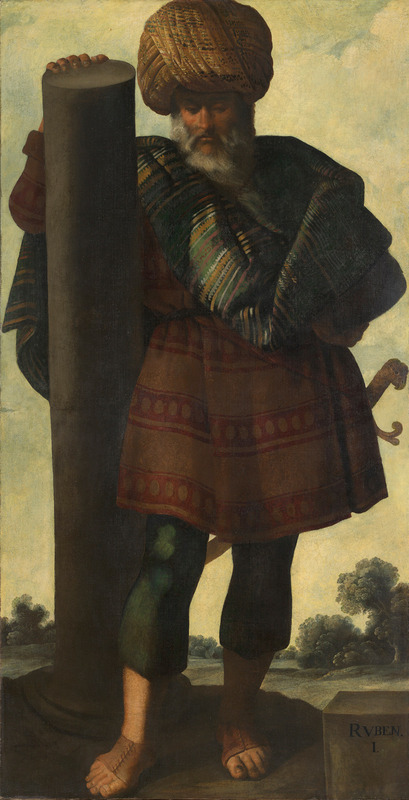 © Auckland Castle Trust/Zurbarán Trust. Photo by Robert Laprelle. 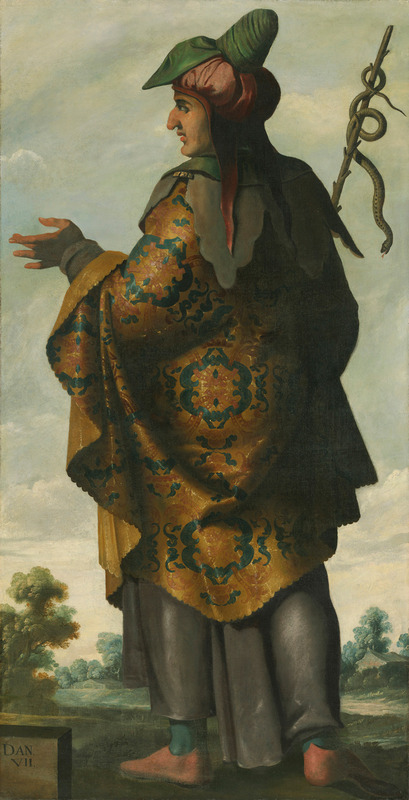 Francisco de Zurbarán, Naphtali, c. 1640-45. Oil on canvas. Auckland Castle, County Durham© Auckland Castle Trust/Zurbarán Trust. Photo by Robert Laprelle. 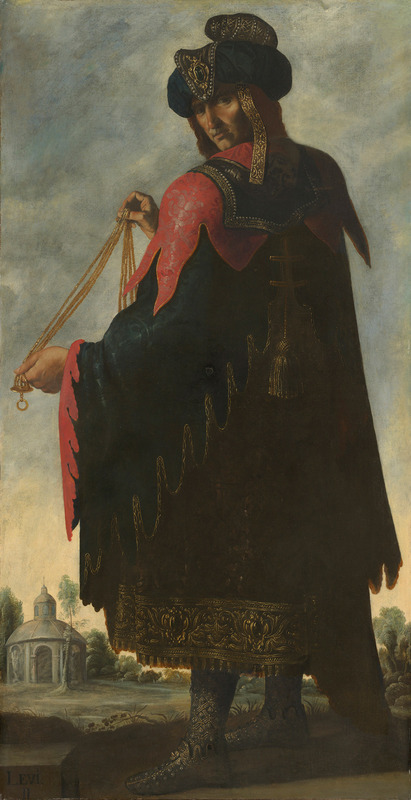 Francisco de Zurbarán, Joseph, c. 1640-45. Oil on canvas. Auckland Castle, County Durham © Auckland Castle Trust/Zurbarán Trust. Photo by Robert Laprelle. Another gallery will present details of the technical analysis conducted on the paintings at the Kimbell Art Museum’s conservation lab, where the works were examined with natural and UV light, a stereomicroscope, x-radiography and infrared reflectography. In addition, canvas-weave analysis was carried out on all 13 paintings for the first time. This revealed a wealth of new information about each work, including the type of canvas used, the Sevillian clay earth that comprised the double ground layer, the artist’s application of pigments and glazes and the ways in which he altered aspects of the compositions in the final stages of painting. The research makes clear how Zurbarán, a master of chiaroscuro, incorporated light and dark underpainting in arranging his compositions from the earliest part of his process. The artist created monochromatic preparatory sketches for each work, using the ground layer as well as areas of red-brown and gray tones to establish his initial design. 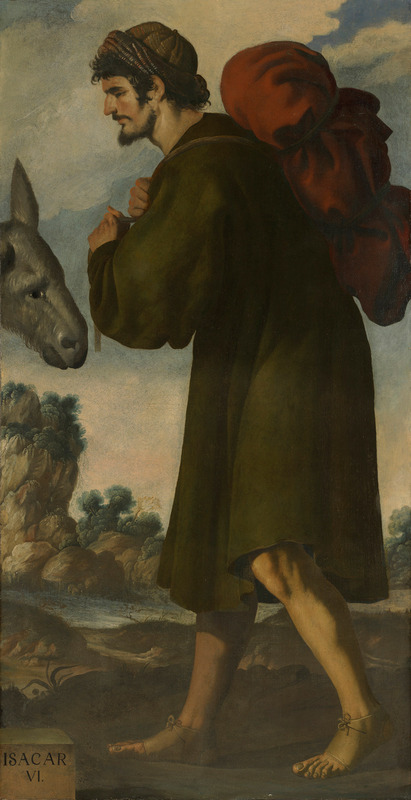 This approach also helped him determine how to use light and color to its best effect, as can be seen in the opaque underpainting of light areas, such as on Joseph’s coat. 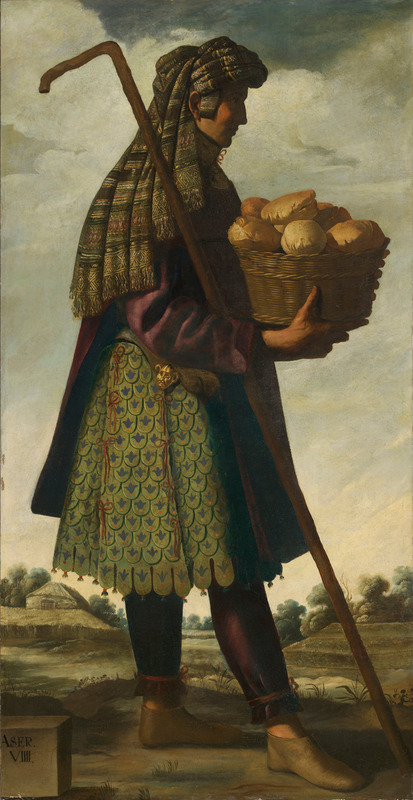 Consistent with this approach to planning, Zurbarán created formal contours of certain iconographical elements in the series, such as where he outlined Asher’s hooked cane and certain loaves of bread, with black and redbrown, respectively, before he actually painted them. 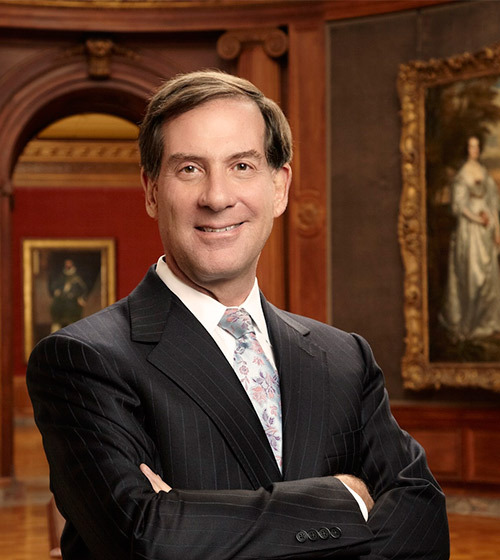 Director of Conservation at the Kimbell Art Museum. Researchers at the Kimbell Art Museum also identified additional print sources used for the creation of the series, in particular The Twelve Apostles by Martin Schongauer (15th c.). 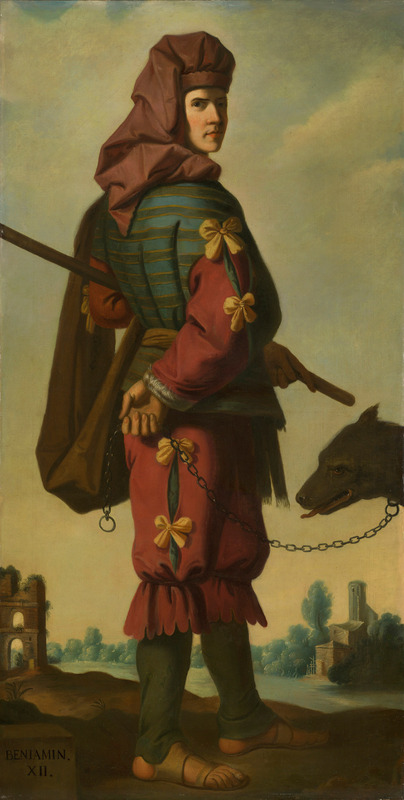 In some cases, Zurbarán’s figures closely mimic particular engravings, while in other cases the figures are an imaginative fusion of details from multiple sources. For example, while an engraving by Dürer provided the model for the figure of Naphtali, Schongauer’s depiction of Saint Bartholomew served as the prototype for the patriarch’s hand gestures. A selection of these sources and related reference works will be presented as part of the exhibition, including a Spanish-language Bible dating from 1630 and three Dürer woodcut prints dating from 1511, on loan from the Bridwell Library at SMU; Jacques de Gheyn II’s series The Twelve Sons of Jacob plus an engraving by Philips Galle, on loan from the Metropolitan Museum of Art, New York; and the aforementioned engravings by Schongauer, on loan from the Museum of Fine Arts, Boston. Long a symbol of power and authority in the North East of England, Auckland Castle was built as one of the primary castles and hunting lodges of the Prince Bishop of Durham. The castle and its park are at the center of a wider sacred Christian landscape that is more than 1,500 years old, and it remains one of the most important and best-preserved medieval bishops’ palaces in all of Europe. 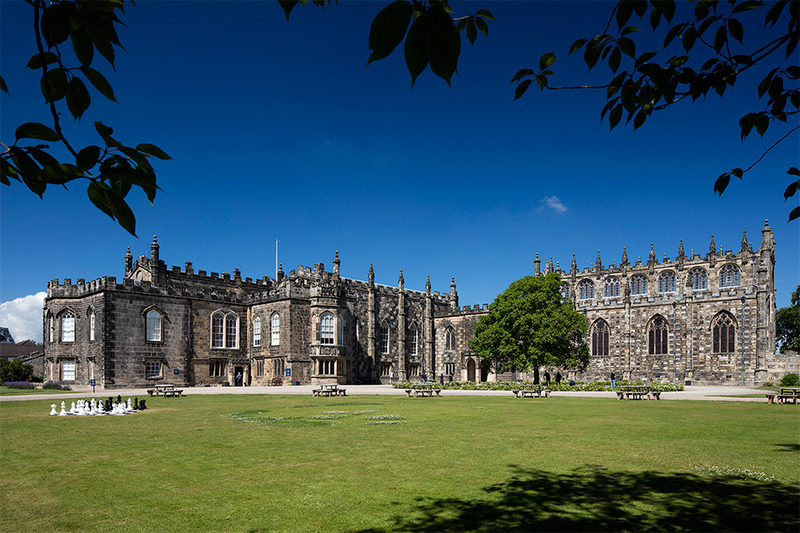 Auckland Castle was purchased by Auckland Castle Trust in 2012. The decade of the 1590s was a fertile epoch in the history of European painting. The period commenced with the birth of Guercino in 1591. Three years later, Nicolas Poussin (1594–1665) was born. The painter-architect Pietro da Cortona (1596–1669) appeared on the scene in 1596. Two years later, Francisco de Zurbarán (1598–1664) saw the light of day in the village of Fuente de Cantos (Extremadura). Diego Velázquez (1599–1660) and Anthony van Dyck (1599–1641) were sons of 1599 and Claude Lorrain (1604–1682) brought the cycle to a close in 1604. At first glance, this information seems random and contributes little or nothing to an understanding of these artists. However, upon scrutiny, one name leaps off the page—Francisco de Zurbarán, the odd man out. All his contemporaries in one way or another were trained in the theory and practices of the Italian Renaissance, especially the mastery of perspective and figural drawing. 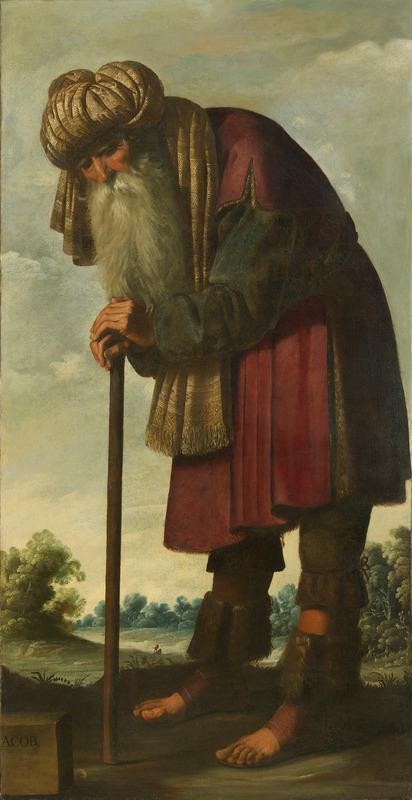 Zurbarán alone does not fit into this mold. 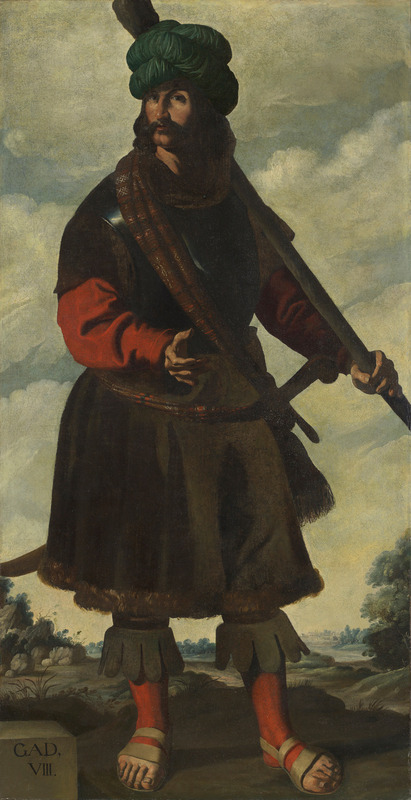 The artistic scene in Seville was familiar to Zurbarán, who was an apprentice in the city from 1614 to 1617, thus overlapping with Velázquez for three years. His master was Pedro Díaz de Villanueva, a painter otherwise unknown. In all probability, Díaz was a journeyman, one of dozens who churned out cheap devotional paintings for retail consumption. He could have taught the young Zurbarán to use the tools of the trade, such as grinding pigments and preparing canvases. It is improbable that master and apprentice ever discussed the finer points of the art. 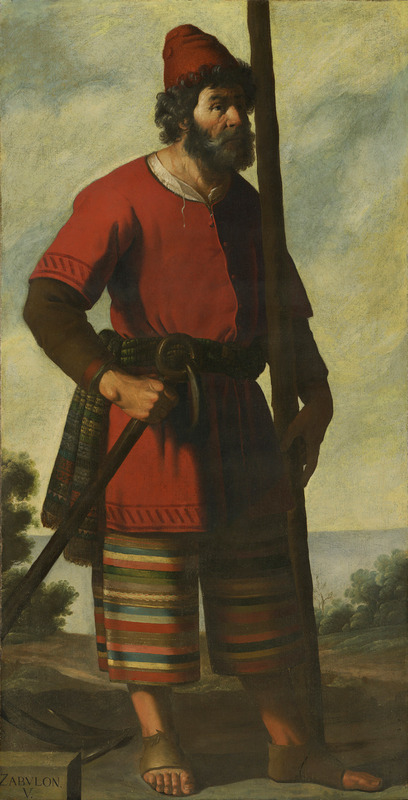 Therefore Zurbarán was virtually a self-taught painter. 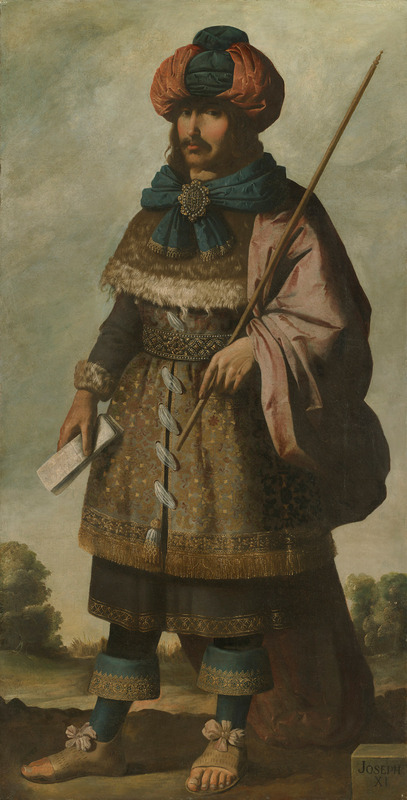 Zurbarán was virtually unknown outside Andalucía until the middle third of the nineteenth century. At that point, most of his commissioned pieces remained in their original site. A key event in their dispersal was the establishment of the Galerie Espagnole, a trove of painting acquired in Spain for the French King Louis Philippe and installed at the Louvre from 1838 to 1848. 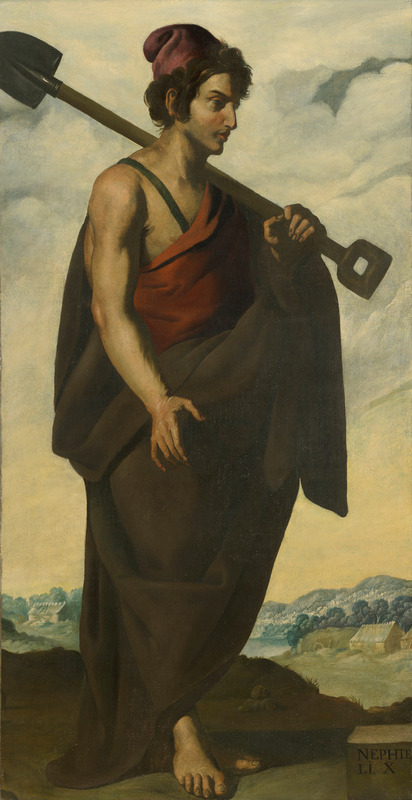 Zurbarán’s paintings of Jacob and his twelve sons have a rich biblical and historical background, and also build on the postbiblical reception of the stories about these characters in the Old Testament. In their contemporary context they may also have had further theological and political resonances. According to the biblical book of Genesis, Jacob was the son of Isaac, the son of Abraham. Jews look back to these three men as the founders of the Jewish people, and they are also important in Christianity, while Islam reveres Abraham. Since the mid-twentieth century it has become customary to describe these three monotheistic faiths as the “Abrahamic religions.” Jacob, Abraham’s grandson, is said to have been renamed “Israel” (Genesis 32:28) and is thus considered the ancestor of the Israelite nation. LEFT: Receipt from the Auckland Castle archives showing the purchase of Jacob, Reuben, Simeon, Levi, Judah, Dan, Naphtali, Gad, Asher, Issachar, and Zebulun. 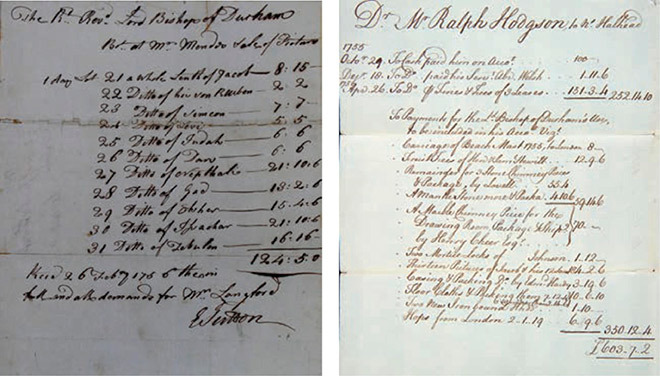 RIGHT: Payments owed to Mr. Ralph Hodgson by Nicolas Halhead, Bishop Trevor’s secretary, 1755–56. The Bowes Museum. It might therefore come as a surprise that these paintings still hang in an Anglican episcopal palace in a small town in northeast England: Bishop Auckland, County Durham. The story of the paintings’ journey to Auckland Castle almost three hundred years ago is a remarkable one. As the ancestors of the people of Israel, Jacob and his sons are richly symbolic figures in the Jewish and Christian faiths. 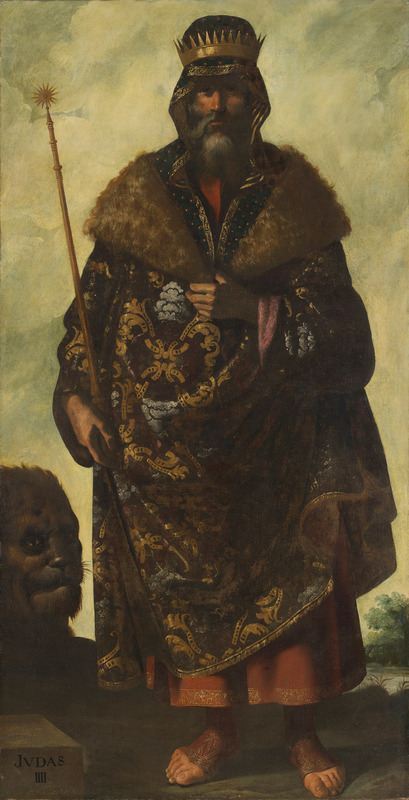 Yet Zurbarán’s depictions of them were purchased by one of the most important figures in the Church of England at a time when Jews and dissenting non-Anglican Christians in Britain were treated with indifference, if not contempt. As we shall see, this series was brought to Auckland Castle as a plea for religious tolerance and social equality. 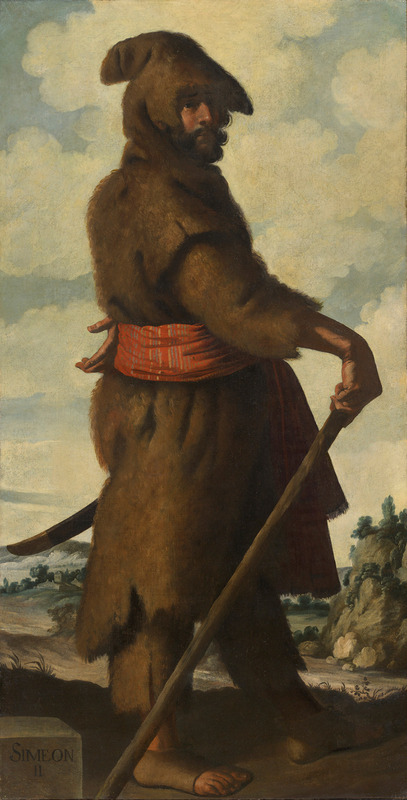 The thirteen life-size figures of Jacob and His Twelve Sons were the first paintings by Francisco de Zurbarán to be brought to England, and today constitute one of the most significant series of the Golden Age master’s work outside Spain. 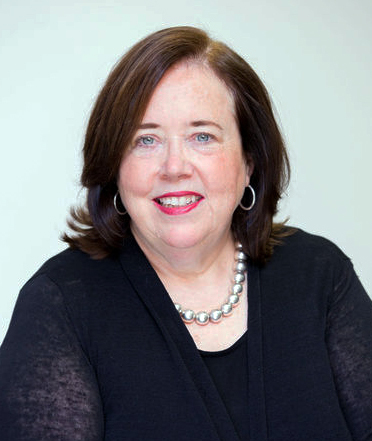 “We are very excited that this project will bring these key works to new audiences in the United States for the first time, and bring Zurbarán’s works to even greater attention. 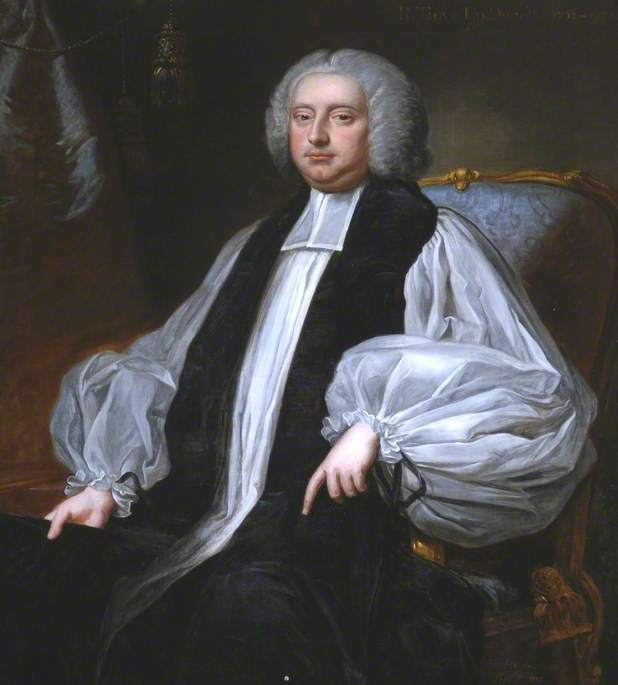 The purchase of the paintings by Bishop Richard Trevor in 1756 as a symbol of religious tolerance continues to resonate today. 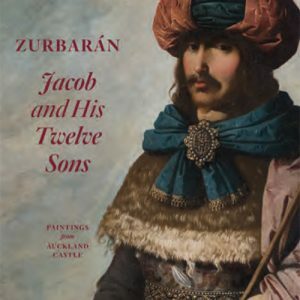 The impressive series of paintings known as Jacob and His Twelve Sons portrays thirteen life-size figures by Spanish master Francisco de Zurbarán (1598-1664). Painted between about 1640 and 1645, the series depicts figures named in Chapter 49 of the Book of Genesis in which Jacob bestows his deathbed blessings to his sons, each of whom go on to found the Twelve Tribes of Israel. 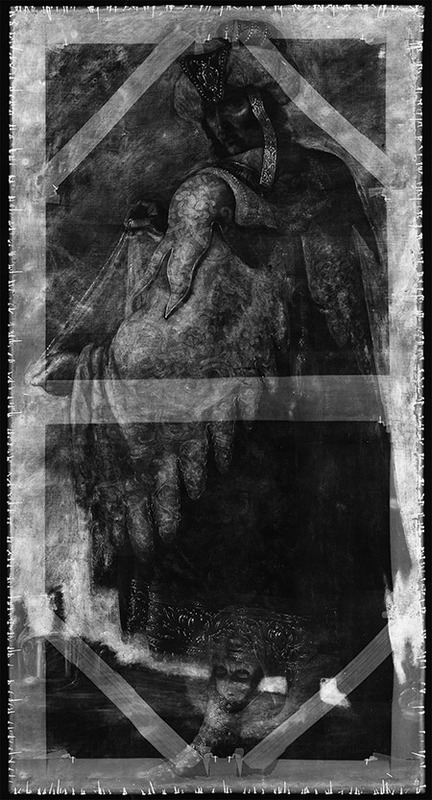 Co-edited by Susan Grace Galassi, senior curator at The Frick Collection; Edward Payne, senior curator of Spanish art at Auckland Castle; and Mark Roglán, director of the Meadows Museum; this publication chronicles the scientific analysis of the series Jacob and His Twelve Sons led by Claire Barry at the Kimbell Art Museum’s Conservation Department and also provides focused art historical studies of the works. Essays cover the iconography of the Twelve Tribes of Israel, the history of the canvases, and Zurbarán’s artistic practices and visual sources. With this comprehensive and varied approach, the book constitutes the most extensive contribution to the scholarship on one of the most ambitious series by this Golden Age master.